I went back to Pittsburgh for a visit this past weekend, and my first stop after getting off the bus was to one of my favorite restaurants. 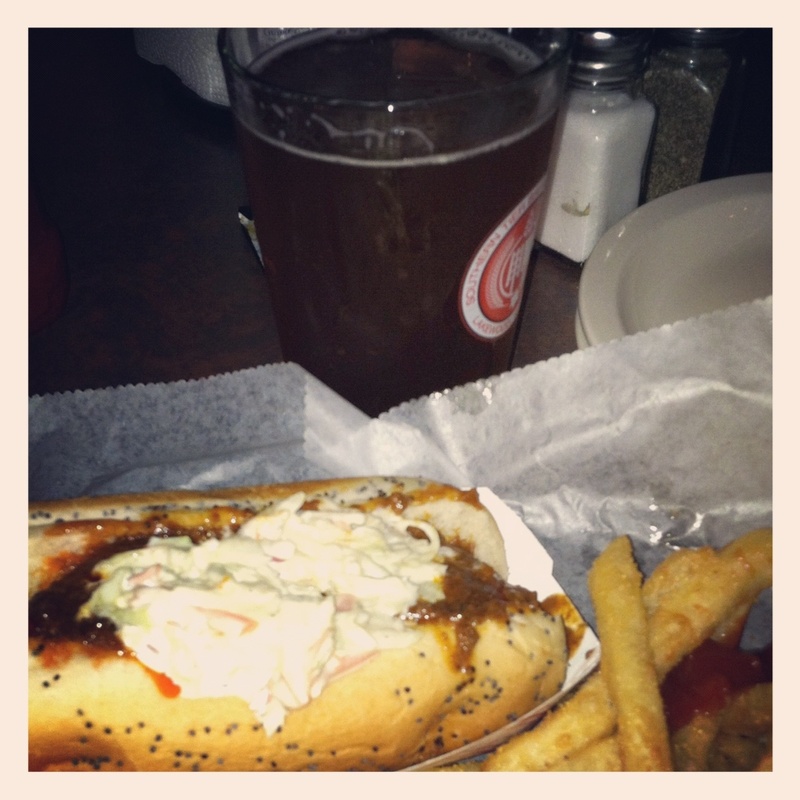 The Thursday night special…$5 hot dog and handful of fries. I chose what is probably the best dog on the menu, the Mason Dixon. Yes, chilli and coleslaw on my hot dog. It was beautiful. The spicy tang of the chilli complimented the cold, sweet slaw perfectly. That slaw took me back home to the South. It was all wrapped in a simple poppy seed hot dog bun. The fries are just the right level of crisp and not too greasy. I washed it all down with a draft Elysian beer, all the way from Washington State. If you ever make it to Pittsburgh, you have got to stop at D’s. Great, cheap eats and drinks.